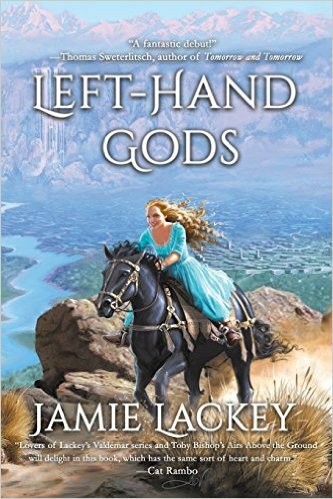 Left-Hand Gods, my debut novel, was published by Hadley Rille Books in 2016. Elizabeth Avigaline has spent her whole life hiding because of the magic in her blood, a gift to left-handed people from the Left-Hand Gods. People like Beth have been hated, feared, and burned at the stake in Cadarnfel for over three hundred years, ever since magic broke the old Empire. But the new Queen is left-handed, and things are finally changing. Beth leaves the safety of her home and travels to Cadarnfel’s plague-ravaged capital with her unwanted fiance, her scheming mother, and Solas Brightwind, a handsome mage sent to fetch her. Soon after Beth arrives, Dumarion, the only left-handed dragon, arrives with a warning. An army of demons is preparing to attack the city on the night of the next new moon. The demons won’t stop after destroying the city–the fate of the entire world rests on the defenders’ shoulders, and they have less than a month to prepare. 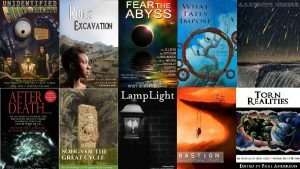 It is available for purchase here.